Mary Berry makes a limoncello trifle. The programme also discusses the rise of teenagers taking ketamine, and three British Muslim women reflect on the New Zealand mosque attacks. Every month Woman's Hour is joined by top chefs and cooks about how to perfect well loved dishes. 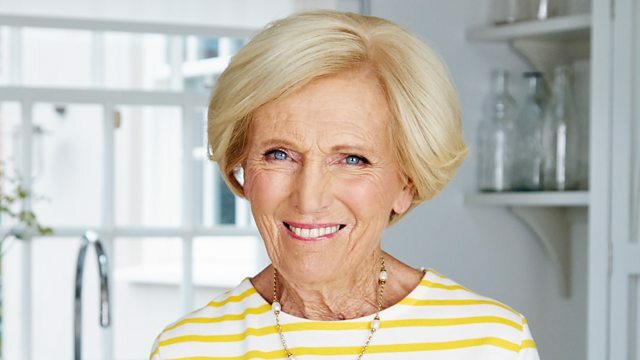 Mary Berry takes the lead this week and tells us how to make a limoncello trifle. According to the latest government crime survey for England and Wales, ketamine, a powerful horse tranquilizer and anaesthetic is an increasingly popular drug of choice for teenagers. The proportion of 16- to 24-year-olds using the drug rose in 2017-18 from 1.2% to 3.1%, the highest figure since records of ketamine use began in 2006-07. Joining Jane to talk about what ketamine is, its effects and what every parent should be aware of is Lauren Moss, BBC South East Social Affairs & Education Correspondent who has been investigating the drug, Wendy Teasdill whose 18-year old daughter Eleanor died from taking the drug at a festival and Professor Celia Morgan, Professor of Psychopharmacology at Exeter University. After the shootings in Christchurch that left 50 people dead, New Zealand's government have agreed in principle to toughen the country's gun laws. People around the world have been talking about how they have been affected by the incident. We talk to three British Muslim women about how they're feeling and what conversations they are having with their children about what happened. Dr Anita Mitra, a Gynecologist wants to talk about the myths we all have about our vaginas. She's written a guide called 'The Gynae Geek' which she says answers questions and worries you may have about women's health.